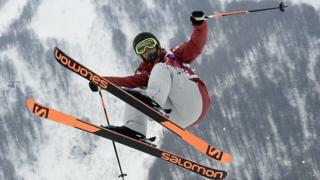 Canada's Dara Howell wins slopestyle skiing gold with a phenomenal performance in the final, scoring 94.20. USA's Devin Logan finished second (85.40), with another Canadian - Kim Lamarre third (85.00). Great Britain's Katie Summerhayes crashed out in her first run, before posting a score of 70.60 which resulted in a seventh place finish.